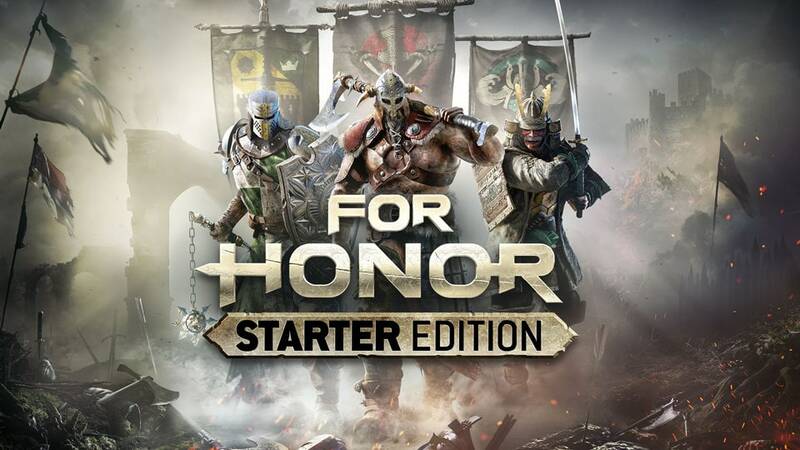 FOR HONOR PC STARTER EDITION NOW AVAILABLE! This week, For Honor launches its all-new Starter Edition where players will get full access to the game for the price of $14.99! This includes all features from the standard edition of the game: Story Campaign, all multiplayer game modes, progression, and all customization options. It is also compatible with the season pass and all DLC! The difference: the number of heroes playable from the start and the unlocking system of the heroes. Players will have access to 6 playable heroes when purchasing the Starter Edition. The Starter Edition fully unlocks the 3 vanguard Heroes of the game: Warden, Raider and Kensei. Fully unlocked characters are both playable and customizable (gear, outfits, emotes, executions, effects, etc). The other 3 playable (not customizable until unlocked) heroes depend on which Faction the player chooses to fight for when first launching the Starter Edition. Once a player has selected the faction of their choice, the Heroes from launch of that faction become playable. Players must choose wisely as this decision can only be made once! These Heroes can then be fully unlocked for the price of 8,000 Steel to make them customizable. For the locked heroes remaining, players will be able to fully unlock all heroes from launch for 8,000 Steel each and all heroes released during post-launch seasons for 15,000 Steel each. Keep in mind that the Steel (in-game currency) can be acquired through gameplay! 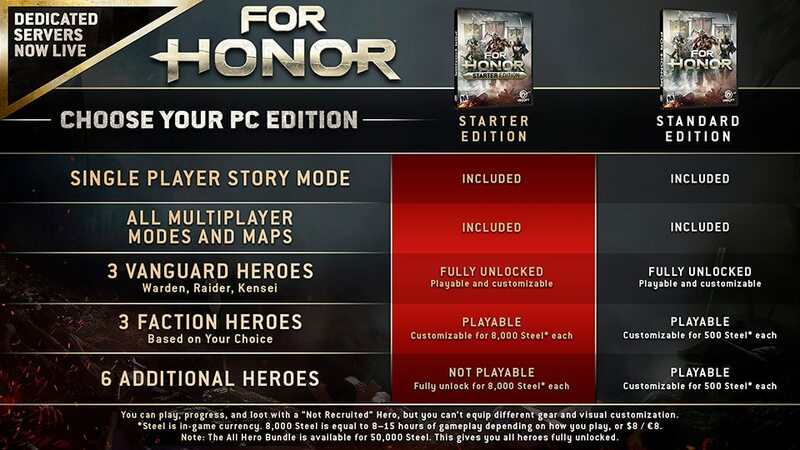 For example, a player who bought the Starter Edition and selects the Knight Faction as the faction of their choice will have access to: Warden (fully unlocked), Raider (fully unlocked), Kensei (fully unlocked), Conqueror (playable), Peacekeeper (playable), Lawbringer (playable). The conqueror, peacekeeper and lawbringer are then recruitable to allow customization for 8,000 Steel. All remaining Heroes from Launch are fully unlockable for 8,000 Steel too. All heroes from post-launch seasons are fully unlockable for 15,000 Steel. For more info regarding the Starter Edition, please visit the dedicated FAQ, our forums, and Reddit page. Storm castles and fortresses in massive battles and confront deadly bosses in intense duels to ensure the survival of your people against a mysterious and deadly foe. All multiplayer modes will be available on all the maps included in the first five seasons. Play against other players or test your skills versus AI in all of the multiplayer game modes available. Wield the weight of your weapon and feel the power of every strike through the system that puts you in total control. Now that dedicated servers have been integrated, now is the best time to jump into the battlefield! Join a truly unique community of passionate For Honor players, represent the faction that calls to you and enjoy the immersive world that For Honor has to offer. We hope to see you on the battlefield! Join the conversation over on the official Ubisoft For Honor forums..
Collector's Edition Uplay Exclusive Collector's Edition Now Available! 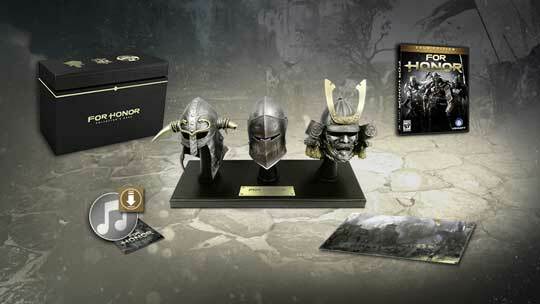 Get a closer look at everything you can get with For Honor Collector's Edition when pre-ordering it on our site.